Now, if I’m being honest. I really don’t eat chips very often, especially since going primal. 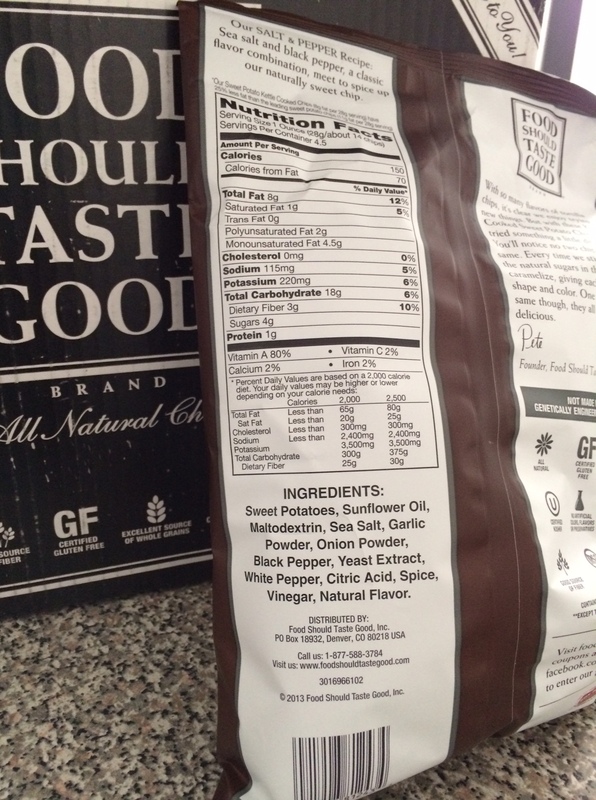 But Food Should Taste Good Chips are made from real, simple ingredients and are even gluten-free! I was sent three different flavors of their sweet potato chips. I came home one afternoon for lunch to find this on my door step. Jack pot! The barbecue! I mean barbecue and sweet potatoes are just meant to be aren’t they? Sweet, smoky, and savory…perfection. The salt and pepper flavor probably had the strongest flavor out of all three, with a bit of a kick to them. The salt and vinegar flavor was good, but very, very subtle. They didn’t have that strong pungent vinegar taste at all, which, for me, was a-okay. If you’re curious about the ingredients, I snapped a picture of those too. I absolutely love that they are all real and simple ingredients! I didn’t feel guilty eating these as a snack or with my lunch or dinner at all because, well, they’re good for you! I pretty much just ate them as a side for the past couple of weeks but they would be awesome for an on the go snack or while you’re traveling too! Okay, giveaway time! 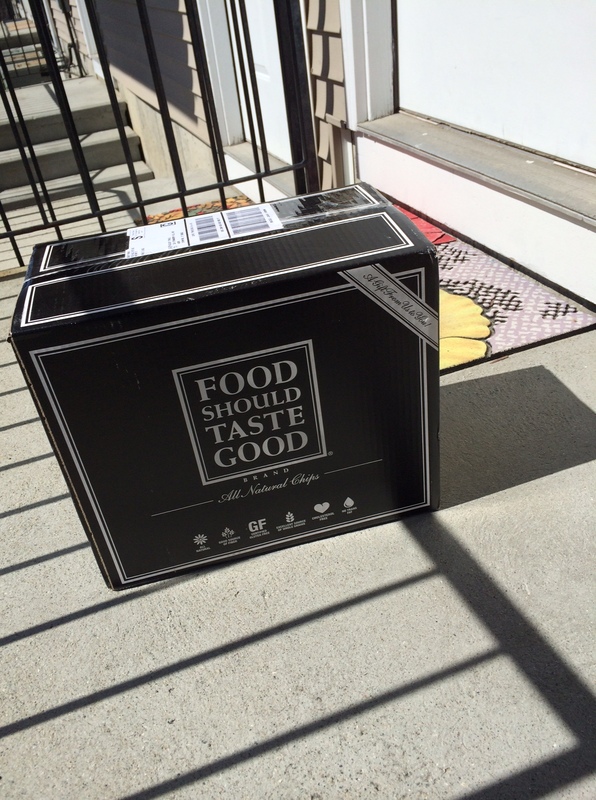 The blogger team over at Food Should Taste Good is so kind that they are going to send one of my readers a big yummy sample box. To enter head over to the Food Should Taste Good website and check out their 20+ flavors. Leave a comment letting me know which you one you want to try. I will chose a winner on Saturday, April 12th. Good luck! I love food should taste good products! I discovered them when I was in college and have been a fan ever since. I was actually super excited when I saw that they were also making kettle chips (a weakness of mine). I’ve tried the sweet potato bbq and loved them, so I’d love to try the salt and vinegar or the ancho chile! So happy I discovered them! They’re so so good! Will you leave another comment Anna? So I can count you for tweeting. I’m still learning this giveaway on a blog stuff and forgot to put that at first! Thanks! I loooove salt and vinegar chips. So good. Me too! Leave one more comment for tweeting so I can count you twice! Sorry, I didn’t put that in the directions first. Amateur blogger! salt and vinegar is my fav!! I am most interested in the sweet potato variety. I’d love to try the salt and vinegar kettle chips! I love these chips! I didnt know they had salt and vinegar though. I eat the sweet potatoe all the time! 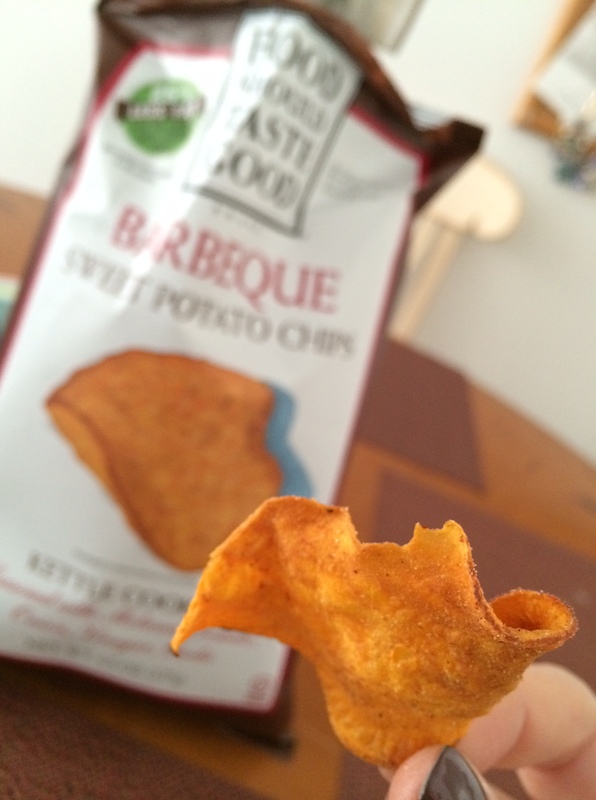 I would love to try the ancho chili sweet potato chips! I love anything with vinegar and those salt & vinegar sound amazing! I followed on twitter (@kaatyaabe) and tweeted! Can I still enter? The sweet potato and kettle corn are the ones I’d love to try the most.